“NaNaNuh NaNaNuh Batman!” Yep you know the song. Matel has done it again by creating the Batman Power Attack Line. My family was chosen to host a Batman Power Attack Party, which was just in time for my nephew’s birthday! 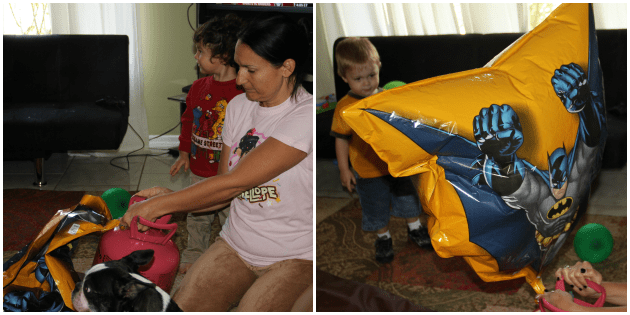 We were provided with the package below from Mommy Parties. We had 12 kids and their parents over to our house to act out Gotham City adventures. 10 BATMAN POWER ATTACK™ Basic Figures– Batman never shies away from a mission and always possesses courage and strength even in the most perilous situations. 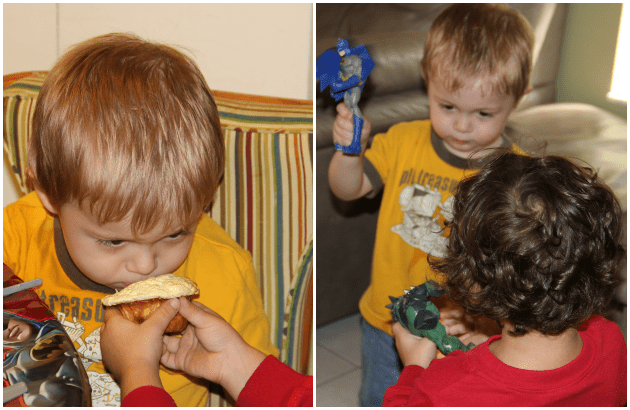 With the six-inch Power Attack figures, kids can create their own adventures. 4 BATMAN POWER ATTACK™ Deluxe Figures -Kids can play out action-packed Batmanstories with thesehighly articulated posable figures. 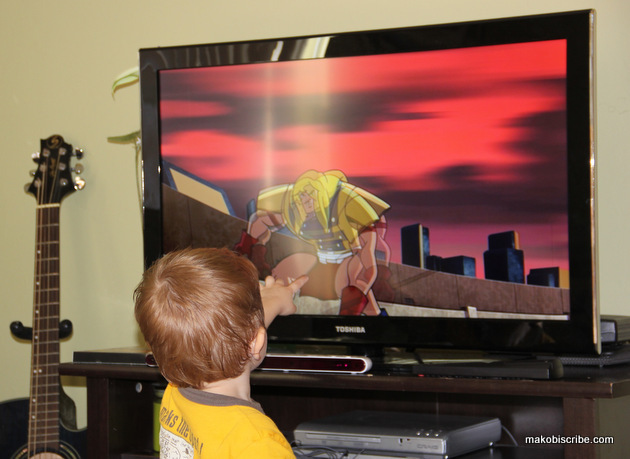 Each character has a signature action move, giving kids the ability to keep villains at bay. 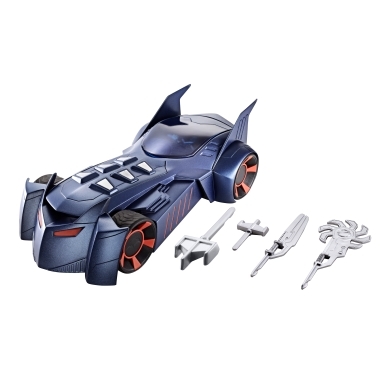 1 BATMAN POWER ATTACK™ TOTAL DESTRUCTION™ BATMOBILE– The PowerAttack BATMOBILE allows kids to play out exciting chase scenes with their favorite six-inch characters cruising in full-security around the streets of Gotham City. 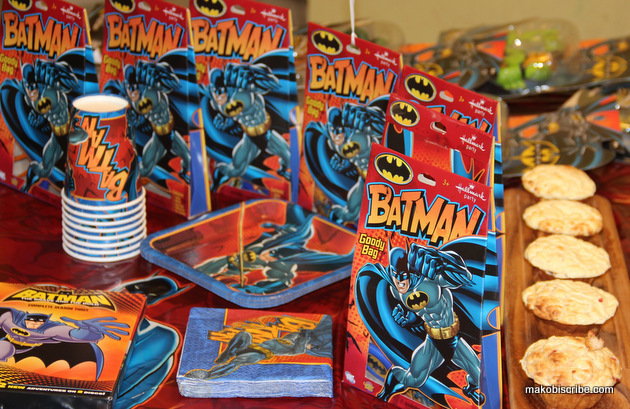 1 BATMAN Host Entertaining Party Pack – Includes balloons, goodie bags, cups, plates and everything needed to host the ultimate Batman bash. We bought a helium tank to blow up the Batman balloons. Next time I will have to get a larger tank. The balloons were so huge I was only able to fill up four of them. I gave the rest of the balloons to the kids with their goody bags. I told their parents that their dads could supply the hot air. It was really cute to see the kids sharing. We had to have a whole talk about sharing because all of the kids wanted the same toy, but after a circle discussion and a few practice rounds, it all worked out okay! In the goody bags, there were Batman rings that squirted water. I demonstrated for the kids just how to show their parents. I am basically every parent’s dream come true. Cant you tell? 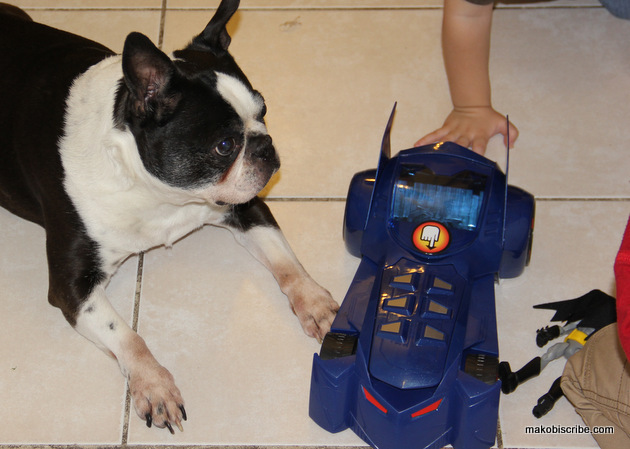 Conrad and Marcus played with the Batmobile while Fenway guarded their play from the other kids. Marcus said that he was the Bat dog and was on his team. The batmobile is a full-on assault vehicle with a powerful battering ram that they could use to knock down obstacles that were in their way (or the dog). What was really neat about the Batmobile was that the figures could fit inside and drive. The kids could engage the weapons by the push of a button and then play time was on! It was not too long until the villains overtook the Batmobile and held it hostage, but by using the weapons that came with the six-inch basic Batman figures they fired their way out and prevailed! You can also use the figure’s weapons in the Batmobile. What’s in the Batmobile Box? Batmobile comes with three projectiles. Figure not included. 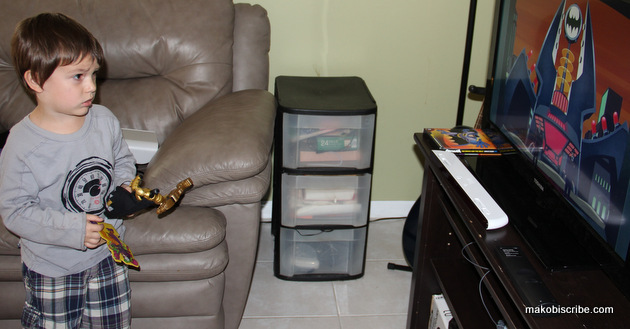 Five days after the party, Jakobi is still watching the movies, entranced while holding his Batman. I let each one of the kids pick out a figurine to take home along with their goody bags. Hopefully this will inspire future Batman get togethers with my core group of parents.